The Jab 29 is a cross country machine. The Light wieght, stiff, and responsive frame make for a fast ride on any CX trails you may encounter. The Kuma 29.2 is a cross country ready mountain bike with its 29" wheels, 3x9 speed Shimano drivetrain, HLO hydraulic fork lockout and powerful hydraulic disc brakes that deliver exceptional braking power. The Kuma 27.3 is a trail ready mountain bike with its 27.5" wheels, 3x8 speed Shimano drivetrain, HLO hydraulic fork lockout and powerful hydraulic disc brakes that deliver exceptional braking power. 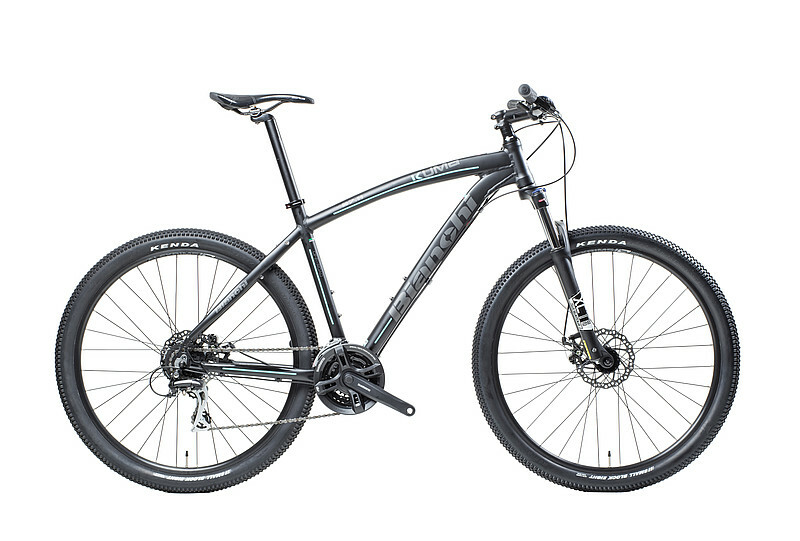 The Methanol CV 29" is your race ready mountain bike boasting a full carbon frame with vibration dampening Countervail, 1.5" tapered head tube, carbon dropouts, 12x148 BOOST Shimano QR axle, internal cable routing- Di2 compatibility. Superlight, stiff and smooth on the trail, the SLM is at the pinnacle of hardtail XC mountain bikes. With a long, low and aggressive geometry the SLM is ready to play at World Cup tracks or your local XC series. Available in 4 models. The Outland is a fast, fun and capable cross-country 29er. The single-pivot suspension design is easy to set up and requires minimal maintenance letting you spend less time in the workshop and more time on the trail. The Tahoe's geometry is nimble and aggressive yet still comfortable for the weekend warrior. A short-and-snappy wheelbase and comfortable riding position make the Tahoe fun and fast. When you're ready to take your mountain biking to the next level the Tahoe will be there to get you to the peak. The Auric's big travel equals big descents and the Auric lets you shred the downhill. Thanks to the 160mm of MLink suspension you won't be dragging on the climbs either. Up or down the Auric is the bike for your big days on the mountain. Available in 3 models. Trail bike capability with XC bike pedaling combined with 29“ or 27.5-plus wheels makes the Rakan the obvious choice if you can have only one bike in your quiver. A capable trail bike ready to rip into more technical and challenging singletrack. 27.5“ wheels and 140mm of travel soak up rough trail and keep the bike balanced when the tires leave the dirt. The single-pivot suspension design is easy to set up and requires minimal maintenance letting you spend less time in the workshop and more time on the trail. If you’re looking to ride through/over/off of obstacles, may the Krampus be your mighty steed. a modern hardtail with contemporary geometry and spec that is up to the challenge of just about any trail. The 27.5+ tires on the Bighorn provide gobs of traction and stability for increased confidence on the trail and act as micro suspension so you don't get beat up hammering over roots and rocks. With a frame and fork made of custom-designed Surly CroMoly “’Natch” steel, the Karate Monkey delivers a resilient, lively, durable ride. Named after a mythical snow monster found in Canadian folklore, the Wendigo is designed to take you off the beaten path. Now available with a C10 carbon-fiber frame and fork the Wendigo is not only reserved for snow and sand but is a legitimate choice for everyday trail riding. Named after a mythical snow monster found in Canadian folklore, the Wendigo is designed to take you off the beaten path. With a C10 carbon-fiber frame and fork the Wendigo is not only reserved for snow and sand but is a legitimate choice for everyday trail riding. The Ice Cream Truck boasts a symmetric 190mm-spaced cro-moly frame, suspension-corrected 150mm-spaced fork, and sporty trail-oriented geometry. Supported by massive 4.8" tires, it’s ready to deftly tackle nearly any terrain.